Above: A magnificent photograph of a Mk 5 Firefly bearing UN colours. This is one of a (very small) handful still in flying condition, and is owned by former US navy pilot Eddie Kurdziel. Copyright Richard Seaman. 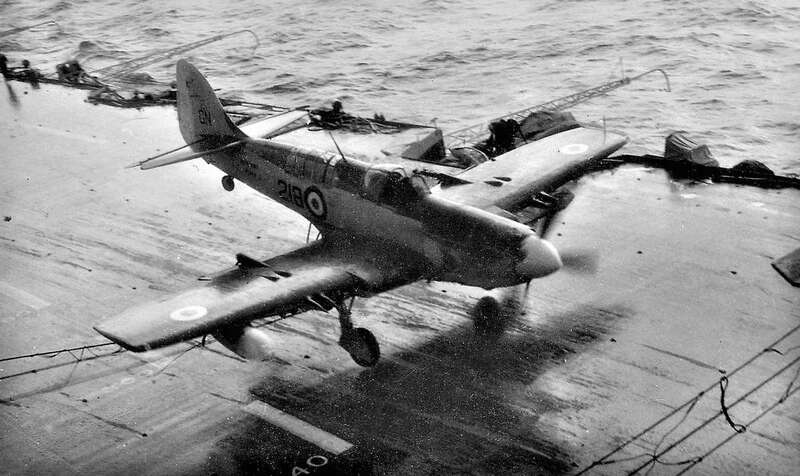 The Fairey Firefly was a rugged, two-seat carrier-borne aircraft ordered by the British Air Ministry, with the first prototype trials in December 1941. Designed as a long-range anti-submarine reconnaissance-fighter, it was based on the Fairey Fulmar but was greatly improved with a more powerful engine and heavy weapons for strike operations. The Firefly went into production in August 1942 and after acceptance trials in 1943, was assigned to the RN Fleet Air Arm’s 1770 Squadron – which in 1944 joined the attack on the German battleship Tirpitz. 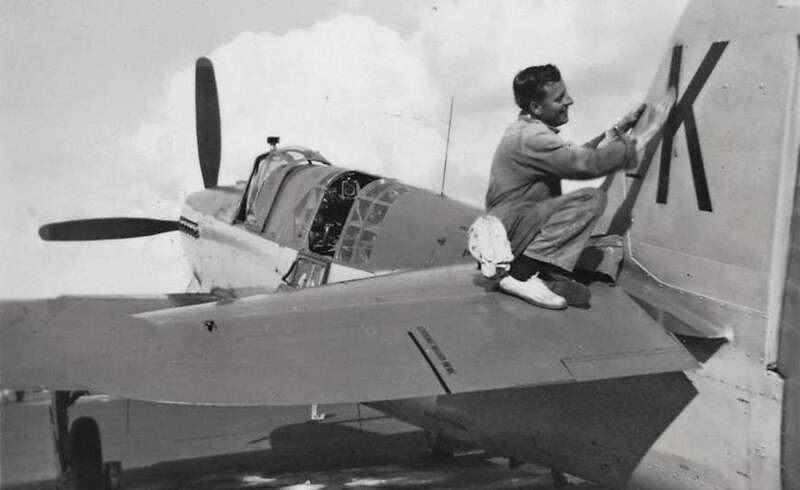 The Firefly was a sturdy, multi-purpose aircraft – capable of taking punishment. By 1955 over 1,700 Fireflies had been built. They served with distinction in WW2 and Korea before finally being replaced by the Fairey Gannet in the mid-1950s. The two crew members had separate cockpits with good visibility. A navigator was necessary for complex, long-range reconnaissance over the ocean, allowing the pilot to concentrate on flying. The RAN Mk 4, 5 & 6 Fireflies used the 2,250 hp Rolls Royce Griffon 74: a water-cooled supercharged V-12 piston-engine, driving a four blade Rotol propeller. The wings had square tips and large Fairey-Youngman flaps, providing good handling at low speeds. With wide-track undercarriage, deck hook and folding wings, they were ideal for light-fleet carrier operations. The Firefly ‘strike’ aircraft had four 20mm cannons, two in each wing, and could carry up to 16 x 3″ rockets, or bomb loads up to 2 x 1,000 lb. Several variants were built including a T-Mk5 dual control trainer and the anti-submarine AS6 version (minus cannons) with ASH radar. The RN, RAN, RCN and Dutch Fleet Air Arms all used Fireflies, as well as the air forces of several countries. In 1947 the Australian Government approved the formation of the RAN Fleet Air Arm and the provision of two carriers, with their associated Carrier Air Groups (CAGs). Orders were soon placed for two Majestic-class light-fleet carriers from the British Admiralty. 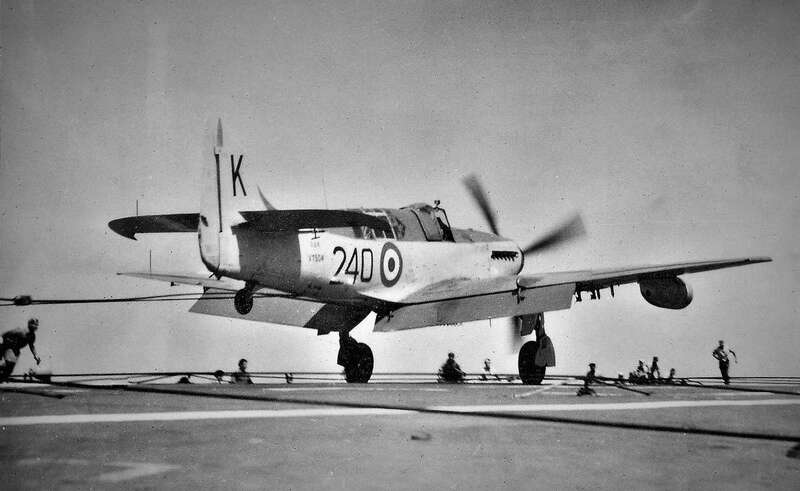 Following consultation with the RN the Fairey Firefly was selected as it had a record of reliability, including service in the tropics with the British Pacific Fleet. The Hawker Sea Fury 11 fighter-bomber was also chosen for its qualities and outstanding service with the RN. Importantly, the British Admiralty offered generous support for aircrew and maintainer training – and RN loan personnel. 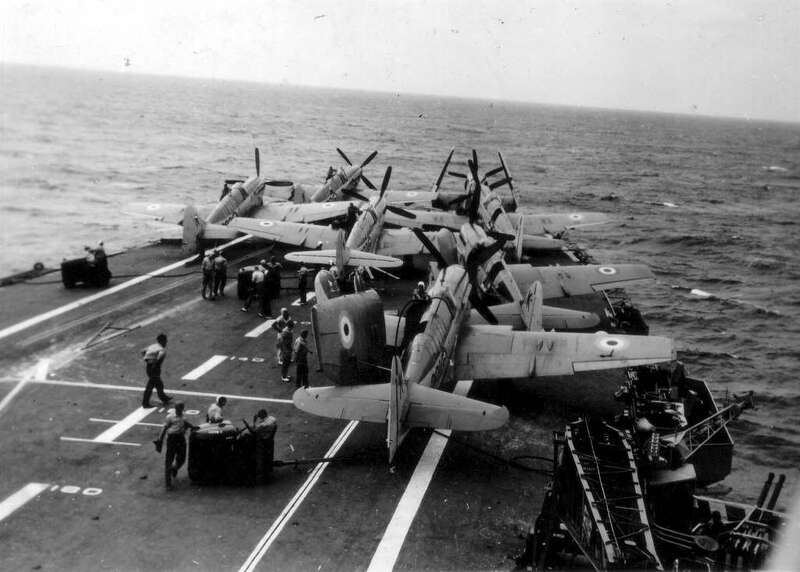 The Fairey Firefly and Hawker Sea Fury 11 FB squadrons formed the backbone of the Carrier Air Groups; serving aboard HMAS Sydney, HMAS Vengeance, and at the air station HMAS Albatross at Nowra. The front line Fairey Firefly units were 816 and 817 Squadrons, assigned to the 20th and 21st CAGs respectively. At HMAS Albatross, the RAN FAA training base, the second-line Fireflies were variously attached to 723, 724, 725 and 851 Squadrons. The RAN purchased a total of 108 Fairey Fireflies, of which 88 were delivered by Sydney; 19 via Vengeance, and one by a merchant ship. The first Fireflies were delivered in May 1949 and the last in August 1953. Above: Two excellent photographs of Firefly WB518 (click to enlarge). The image on the left allows a good view of the cockpit configuration. Early problems with poor pilot visibility and canopy jettison resulted in a modification to fit a taller pilot’s windscreen – a bonus for loftier pilots! Right: On finals to land. Note the radiator inlets mounted in the wing centre section extensions, and the Fairey-Youngman flaps, which moved aft on tracks. This gave the aircraft high lift for take off and high drag for landing, and contributed to its excellent low speed handling characteristics. Copyright Richard Seaman. The Firefly was a solid dependable aircraft which served the Fleet Air Arm well in both the ASW and Strike roles. I flew the MK 1 version on OFS training at RNAS Lossiemouth in 1950, and subsequently the MK 4, MK5, Mk6 and Mk7; there was no MK 3 and the Mk8 was a drone. There was not much between the 4,5, and 6 in general handling, and the MK 7, the three-seater performed much as the others. All Mks were well balanced in their controls but required a strong right arm for aerobatics, as I was to recall after flying powered ailerons in the Hawker Seahawk, on RN exchange. The Rolls Royce Griffon was an excellent engine and never let me down in just short of 1000 hours. The only problem we had was RR failing to properly case- harden a set of cams and they were found to be rounding off in a short space of time! There was doubt as to which batch had been affected and we were required to check a new engine for the first 5 hours, and subsequently 25 hours, until they proved themselves. All very embarrassing for RR. It was an excellent deck landing aircraft, although with a limited view on the approach, but it would bite you if you allowed the speed to get too low and applied too much power, the result was a torque stall which would have you on your back if you didn’t act quickly. We did our initial deck landing training in MK 4 Fireflies on HMS Illustrious, the Fleet Carrier of WWII fame. The circuit was flown at 450 ft, aiming to turn in on a constant curved approach, hoping to pick up the bats at the ninety at a steady 90 knots; two knots either side could get you into trouble with either a ramp strike or missed wires. The technique following the cut was to let the nose drop, which gave you an instant view of the flight deck enabling a quick assessment of the flare height, to arrive fully stalled as you snatched a wire. After a couple of ropey landings I began to feel that I might have got the hang of it; until my fourth approach. It started off OK but then the batsman began to give me a serious of slows, followed by a low dip, not a good condition to be in. I added power but could feel the aircraft sinking. More power seem to make the situation worse and it was at this point that I realised that something was wrong and chanced a quick look in the cockpit. The problem was immediately apparent, the pitch lever had slipped back. Fortunately, my good training kicked in preventing me from ramming the lever forward, because with the amount of boost I had been demanding, I would have been pitched straight into a torque stall. Needless to say, gentle easing of the lever forward saved the situation and I am not now resident in the Irish Sea. However, as already remarked, it was an easy deck lander, as I managed 255 without an accident. After four landings, we were introduced to the catapult, the old hydraulic launcher which hit the maximum thrust at the commencement of the stroke. We were cautioned to ensure the throttle friction nut was fully tightened at 18 pounds boost and not to hold the throttle or stick, but to put your right hand behind the latter, and your left to grip your right elbow. I was set up to go and although briefed, wasn’t prepared for the massive kick up the backside and failed to prevent my hand slipping back. I immediately shoved the stick forward resulting in the aircraft diving off towards the sea. A subsequent over correction had a plan view of the aircraft reaching for the sky. Of course, all this had happened in a nano second whist still on the catapult track. ASW patrols were generally flown at 2000 ft and 180 knots, very boring, and when you found the canned submarine, the non-directional sonobuoys where pretty useless. It was a different situation when 817 commenced strike operations in Korea. Here we were armed with a full load of 20mm ammunition for the four cannons, and generally two 500-pound bombs. The sound of all four cannon on a straffing run was something to summon up the blood! On a couple of occasions, we were armed with two 1000lb bombs which required a reduction in 20mm ammunition and some fuel to stay below MAUW. Despite a certain amount of apprehension as to the load, it handled it well off the catapult. The big bombs were put to good use when a train was clobbered in a tunnel. 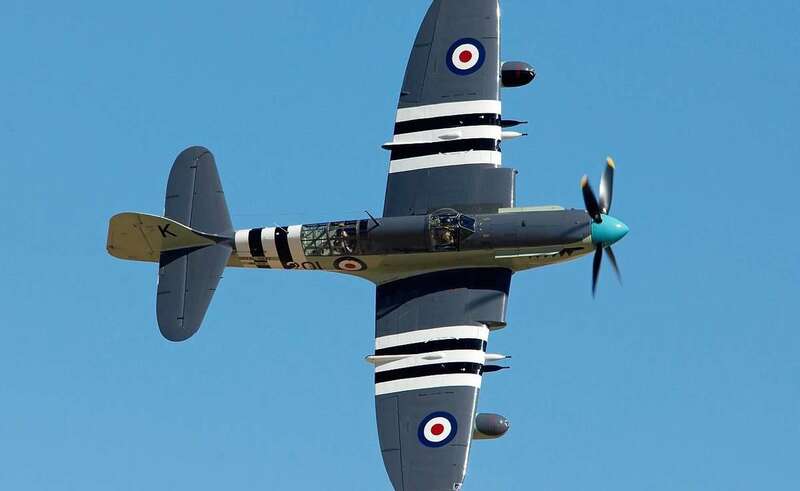 In summary, the Firefly together with its stable mate, the Sea Fury proved to be the right aircraft to establish the FAA as a fully operational service, as was proved in the Korean War. Read Norman Lee’s article on Straight Deck Landings. CDRE Norman Lee joined the RAN as a recruit rating pilot in 1948, and served in 817, 816, 850, 723, 724 and 725 (RAN) Squadrons in addition to exchanges to 736, 738 and 820 (RN) Squadrons. He Commanded HMA Ships Vampire and Queensborough. His final posting in the RAN was as Commanding Officer HMAS Albatross before his retirement in 1981. He now lives in Canberra, ACT. As the RAN’s newest branch, the FAA’s initial priority was aircrew training. On 7 December 1947 the First Naval Pilots Course began at HMAS Cerberus (FND), followed by six months at RAAF Point Cook Flight Training School, flying Tiger Moths and Wirraways. After gaining their ’wings’ the trainees were posted to RNAS Lossiemouth in Scotland to fly Fireflies or Seafires, before specialising in anti-submarine work at RNAS Eglinton or on fighter aircraft in Cornwall. Later, after learning to land on a carrier, they would join either the 20th or 21st CAG. Former RN, RANVR, RNZN and RAAF aircrew were keen to join – many with valuable WW2 British Pacific Fleet experience. Further intakes of aircrew recruits followed at regular intervals. The first direct entry maintainers arrived at Cerberus (FND) on 13 October 1947 for initial training, then sailed to the UK on SS Largs Bay arriving 29 February 1948, transferring to HMS Heron (RNAS Yeovilton) for instruction. Soon ex-RN maintainers began enlisting in the RAN FAA. Meanwhile RAN engine room artificers were converting to aircraft artificers at RNAS Arbroath, and RAN sailors were training in aircraft trades at RNAS schools in the UK. Later Australia naval airmen maintainers went to Cerberus (FND), then to RANAS Nowra for instruction in engines, airframes, ordnance and other trades including photography, safety equipment, meteorology, and aircraft handling. Instruction was supervised by Specialist Officers, CPOs and POs on loan from the RN – with many transferring to the RAN. Regular intakes quickly built-up a core of skilled maintenance personnel. On 5 April 1948 a purchase order was placed for 25 Fairey Firefly Mk 5 and nine spare Griffon engines to outfit 816 Squadron for the 20th Carrier Air Group. A similar Firefly order was placed on 6 October 1948 for 817 Squadron, which would later join the 21st CAG. 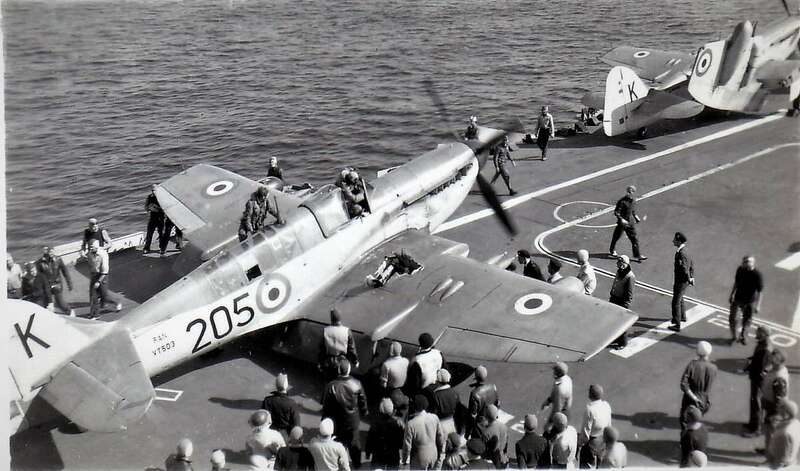 Before delivery of the RAN Fireflies, pilots and observers exercised with a variety of RN aircraft, including Fairey Firefly Mk 4s and Mk 5s. The training was intense and the RN FAA set high standards; but the RAN aircrews worked hard to achieve excellent grades. On 28 August 1948, 816 Squadron (Fireflies) and 805 Squadron (Sea Furies) were commissioned at RNAS Eglington, Northern Ireland. These squadrons formed the 20th Carrier Air Group and would be transported to Australia aboard HMAS Sydney. Prior to that the Firefly aircrews continued to work-up with anti-submarine exercises, formation flying, instrument flying, navigation, combat manoeuvres, live firing, and aerodrome dummy deck landings. Then, the serious business of qualifying for flight deck landings on HMS Illustrious. Although work was still in progress, HMAS Sydney (111) was commissioned at Devonport Dockyard, on 16 December 1948. On 6 February 1949 HMAS Sydney completed her acceptance trials. Six days later she began work-up exercises with the 20th CAG Fireflies and Sea Furies to the end of March – during this time hundreds of deck landings were performed. On 5-7 April 1949, at King George Dock, Glasgow, Sydney embarked the (embalmed) 20th CAG, two ex-RN Sea Otters, and tons of stores. Sydney then sailed for Devonport, arriving on Monday 11 April 1949. On the following day she sailed for Australia, arriving at Jervis Bay on 25 May 1949 where she disembarked the aircraft and naval stores. On the morning of 28 May 1949, HMAS Sydney entered Sydney Harbour to berth at Garden Island Dockyard. Immediately the Fireflies and Sea Furies arrived at RANAS Nowra they were stripped of their embalming material and brought up to full operational standard. Here the squadrons began the process of establishing themselves at the Air Station [commissioned as HMAS Albatross on 31 August 1948] and engaging in the crucial business of training and maintenance. Meanwhile, HMAS Sydney unloaded stores at Garden Island Dockyard. After a short time in dry dock for a refit Sydney was ready for sea again. On 30 July 1949 an advance party of Fireflies and Sea Furies embarked on HMAS Sydney off Jervis Bay. The following day further aircraft arrived from Nowra and the process of requalifying for flight deck landings began. Throughout August intensive aircrew training continued with the focus on flight deck operations. In September 1949 Sydney steamed north to Queensland and Manus Island for fleet exercises. During the latter part of 1949 Sydney operated in home waters, and in the early part of 1950 she visited Melbourne, Hobart, and New Zealand. HMAS Sydney’s next move was to return to the UK to collect the 21st CAG. During Sydney’s absence the 20th CAG Fireflies continued exercising with shore-based training at RANAS Nowra. The 21st CAG was commissioned on 25 April 1950 at RNAS St Merryn, Cornwall, made up of Fairey Fireflies and Sea Furies of 817 and 808 Squadrons respectively. On 7 June HMAS Sydney sailed from Port Jackson for the UK, arriving at Portsmouth on 24 July 1950. The 21st CAG embarked soon after, and from August to October the squadrons worked-up with Sydney and RN fleet units in the Irish and North Seas. On 15 October 1950 she berthed at KGD Glasgow to load 23 Fireflies, 32 Sea Furies (embalmed) and 110 tons of air stores. On 18 October she moved to Portsmouth before sailing eight days later for Australia. Upon reaching Jervis Bay on 6-7 December 1950 Sydney disembarked the 21st CAG for transport to RANAS Nowra. She then berthed at Garden Island on 8 December 1950. On 25 June 1950 – shortly after Sydney sailed for the UK – North Korea invaded its southern neighbour. Because Sydney was committed she was unable to join the many UN ships responding to the communist aggression. While HMAS Bataan and Shoalhaven participated in the early retaliatory strikes, HMAS Sydney was not deployed to Korea until 1951. On 14 May 1951 817 Squadron together with 805 and 808 Squadrons formed a Carrier Air Group (CAG) for deployment to Korea, where HMAS Sydney would relieve HMS Glory which was due for a refit. Because many of the RAN Fireflies had been converted for anti-submarine work with their guns removed, there was a scramble to borrow ‘strike capable’ Fireflies fitted with 20mm cannons. To secure the number of aircraft, Fireflies were borrowed from 816 Squadron, whilst others were obtained on loan from the Royal Navy. Exercises began immediately to bring the squadron up a high standard of efficiency – with an emphasis on tactics and weapons training. Above Left: Fireflies aboard HMAS Sydney circa 51/52. The ship did not have an angled deck so aircraft constantly had to be moved to allow flying operations. Right: Extreme weather conditions in winter made for miserable flying and maintenance. Sydney sailed for Korea on 31 August 1951 with HMAS Tobruk in company. The work-up continued with further exercises at Hervey Bay, including action stations and darken ship procedures. Aircrew were instructed in the handling of small arms and drill covering ditching and forced landings. With three squadrons embarked, there was a shortage of both hangar and flight deck space, which created problems moving aircraft around. Sydney arrived at Yokosuka on 19 September and eight days later berthed at Kure to relieve HMS Glory and to borrow a further six ‘strike’ Fireflies for 817 Squadron. HMAS Sydney launched 32 sorties in her first air strikes against North Korea on 5 October 1951 . Generally, the Fireflies dropped 500 lb bombs and used their cannons, while the Sea Furies deployed rockets and 20mm cannon. The primary targets were lines of communication to deny troop and logistic support to the North Korean army. The Fireflies soon became adept at strikes against rail and road bridges, often against heavily defended targets behind enemy lines. Small calibre fire and flak would damage aircraft, but the Fireflies proved to be rugged. Despite this, several aircraft were lost (see helicopter story). Firefly pilots developed low-level dive-bombing techniques to improve accuracy. When the Fireflies were used for fleet anti-submarine patrols they carried 250 lb depth charges and sonobuoys. Other Firefly tasks included army ground support and assisting naval gunfire bombardments, reporting the fall of shot. The hard work during the work-up exercises was paying-off in terms of performance and damage to the enemy. A signal from C-In-C Far East Station said (in part): ‘Your air effort in the past two days, unprecedented in quantity and high in quality, has been a magnificent achievement on which I warmly congratulate you’. After her first patrol Sydney returned to Sasebo to resupply, but on 14 October 1951 she was ordered to clear harbour to weather Typhoon Ruth. The worst of the storm caused considerable damage to aircraft, including a Firefly being swept overboard. During her subsequent Korean deployment, HMAS Sydney completed seven operational patrols and more than 2,000 sorties, often in harsh weather conditions. Above: Firefly with Flak damage. The aircraft were rugged, but Flak accounted for a number of losses. On 27 January 1952 HMAS Sydney sailed from Sasebo. Three days later she rendezvoused with HMS Glory where 817 Squadron returned the six Firefly ‘strike’ aircraft previously borrowed. After a stopover in Hong Kong, Sydney sailed for Australia with calls at Fremantle and Melbourne, before disembarking the CAG in Jervis Bay. She subsequently berthed at Garden Island Dockyard on 5 March 1952 and the following day the ships company marched through Sydney, with Commander VAT Smith in charge. Above: a dramatic image of a Firefly entering the crash barrier aboard Sydney. 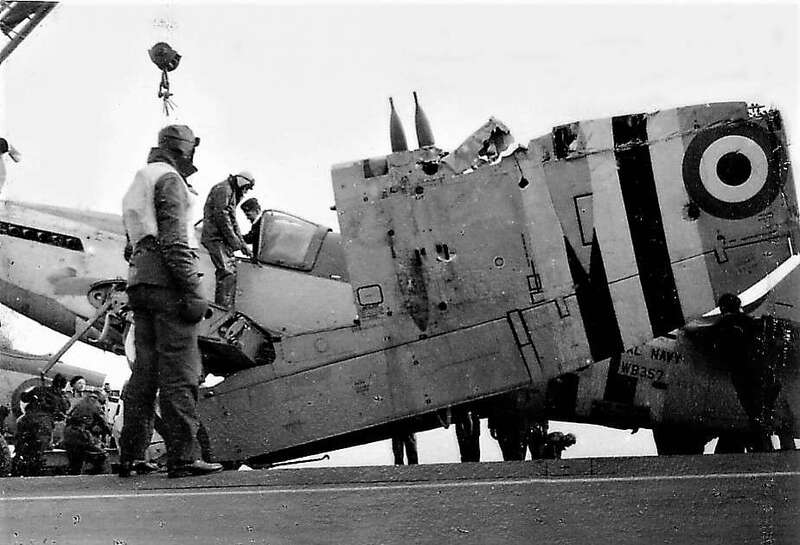 Deck operations were hazardous and resulted in a number of accidents. Below: General shots of Firefly operations to HMAS Sydney. On 30 August 1952 HMAS Sydney sailed from Sydney Harbour on a ‘mystery cruise’ arriving at Manus Island on 6 September, then visiting Darwin on 21 September. From Darwin in company with HMAS Tobruk, Sydney sailed for the Monte Bello Islands where HMAS Shoalhaven, Murchison and Macquarie had assembled for the British atomic bomb test; which took place at 0930, on 3 October 1952. While Sydney stayed well clear, 816 Squadron Fireflies enforced prohibition around the test site from 27 September to 3 October. Following calls at Shark Bay, Fremantle, Melbourne and Jervis Bay, Sydney berthed at Garden Island on 14 November 1952. Note: Figures subject to conditions and Mk. On 19 September 1953 HMAS Sydney departed Sydney Harbour in company with HMAS Bataan, heading for a second deployment in Korea – this time to monitor the Cease Fire Armistice. 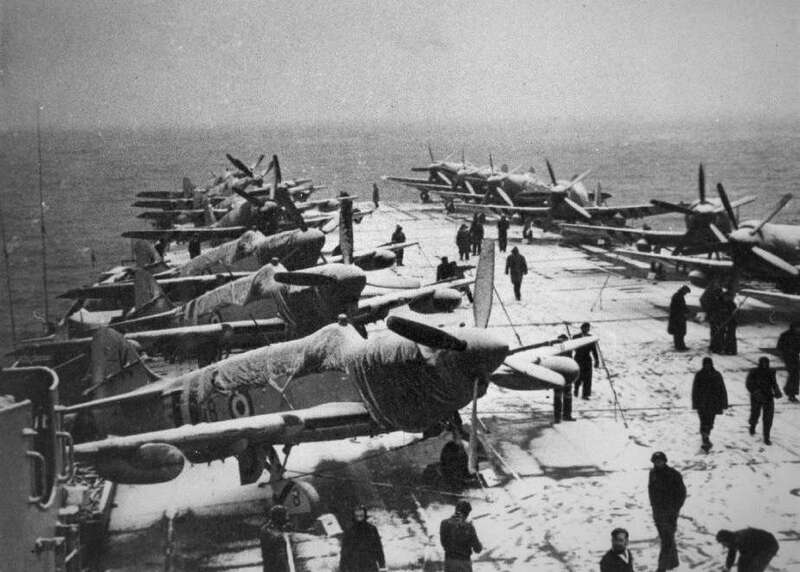 816 Squadron (Fireflies) was embarked as were 805 and 850 (Sea Furies). On this occasion Sydney relieved HMS Ocean, who provided two RN Dragonfly helicopters on loan for plane guard duties. This second deployment was generally quiet but not without incident. After completing four patrols of the Korean Peninsula Sydney departed from Kure, Japan, on 29 March 1953. The ship then exercised and on 4 May 1954 embarked 26 RNARS aircraft at Iwakuni for transfer to Singapore where they were off-loaded, and six RAN Firefly AS6 aircraft that had been stored at Sembawang were embarked. 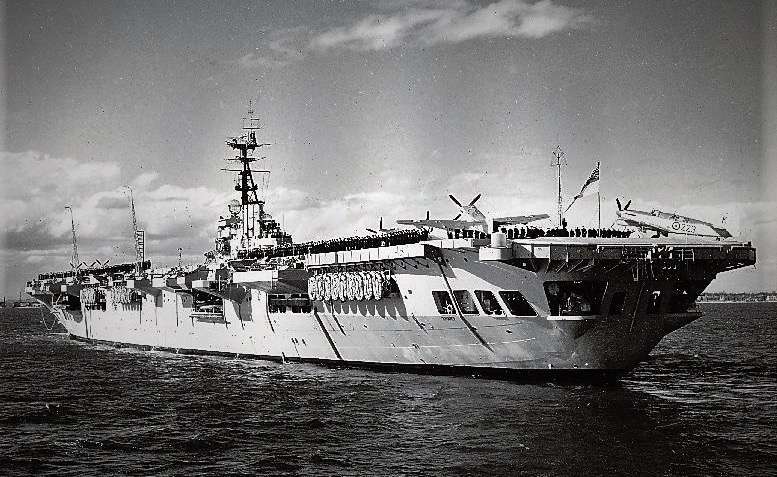 On reaching Australia Sydney discharged the CAG aircraft at Jervis Bay, berthing at Garden Island, Sydney, on 11 June 1954. Meanwhile, delivery of the RAN’s second aircraft carrier HMAS Melbourne had been delayed to 1954, so an interim carrier was loaned from the RN. She commissioned as HMAS Vengeance at Devonport on 13 November 1952. After work-up and the embarkation of aircraft (25 embalmed Fireflies and 10 Sea Furies and the RAN’s first three Sycamore helicopters) Vengeance sailed from Glasgow for Australia 21 January 1953. After disembarking the aircraft at Jervis Bay, she docked at Sydney on 11 March 1953. After a refit, Vengeance returned to Jervis Bay and began work-up exercises with 816 Firefly Squadron and 805 and 850 Sea Fury Squadrons. With the squadrons embarked Vengeance sailed north to Hervey Bay for intensive training. The plan was to send Vengeance to Korea – but instead HMAS Sydney was deployed for the second Korean tour. Vengeance continued in her training role, and escorted the Royal Tour in 1954. Afterwards she went to Japan to ferry 24 RAAF aircraft back home, arriving at Sydney in late 1954. Thereafter, Vengeance remained as a training ship until June 1955. Then, for the last time, she left Sydney for the UK, arriving at Portsmouth on 5 August 1955. On board were the crew for HMAS Melbourne which was nearing completion. After 3-years on loan Vengeance was returned to the Royal Navy on 25 October 1955. On 22 April 1955 HMAS Sydney disembarked her squadrons to RANAS Nowra. This followed budget cuts and a decision to have just one operational aircraft carrier; which would be HMAS Melbourne, due to arrive in 1956. In the meantime, together with Vengeance, Sydney became a fleet training ship for National Service trainees. 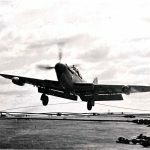 But, for the last time on 13 March 1956, six 851 Squadron Fireflies and six Sea Furies embarked on Sydney; during this final two-week work-up they completed 443 deck landings. In May 1958 she was placed in reserve. 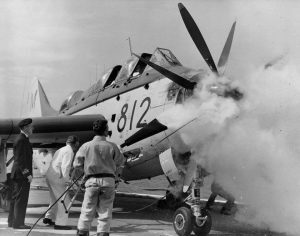 After further delays HMAS Melbourne arrived in Australia in May 1956 with her Fairey Gannet anti-submarine aircraft and Sea Venom fighters. Prior to this the re-organisation of the squadrons began with the Fireflies and Sea Furies progressively moved to second line duties. For the Fireflies this meant being detailed for fleet radar-ranging and VHF/RT work; while others fitted with a wind powered Malcolm G-type Mk3 winch became target tugs. Although a select few Fireflies were kept busy until 1959, by the end of 1956 most of the Fireflies had been disposed of, with the majority sold for scrap while others were used for fire fighter training. Thankfully, several of the Fireflies were obtained by collectors. Until late 1959 one important task remainder for the Fireflies at Nowra: to operate as the overnight or weekend ‘duty aircraft.’ This involved an aircraft being on standby, fitted with a ‘G-dropper’ in case of a shipping, fishing boat or yachting emergency along the NSW South Coast. The ‘G-dropper’ contained a large inflatable life raft carried in a bulky container attached to an under-wing bomb carrier; allowing the life raft to be dropped near survivors in the event of a rescue mission. This search and rescue task was a tribute to the Fireflies ability to fly distances beyond the reach of helicopters. 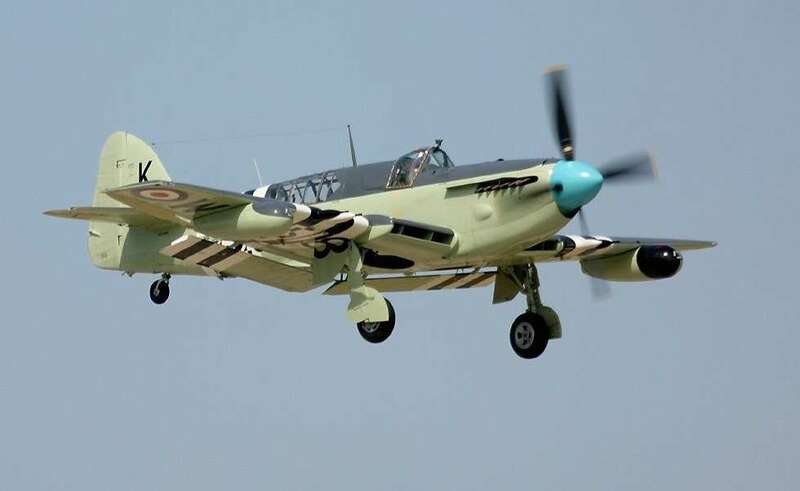 The Fairey Firefly with its good all-round vision, long range, heavy armament, and rugged construction gave the the aircraft a flexible, multi-role capability that served the RAN FAA well. They gave outstanding service in the ground attack role during the Korean War. In the post-WW2 era the RAN concentrated on building its ASW capability, and the arrival of the AS5/6 version of the Firefly was an important and timely adjunct to the fleet. Beyond being a tough workhorse, the aircraft was admired by those who flew them, and maintainers found them easy to work on. Although superseded in 1956 by the Fairey Gannet, the Fireflies are remembered for their qualities and distinguished service. 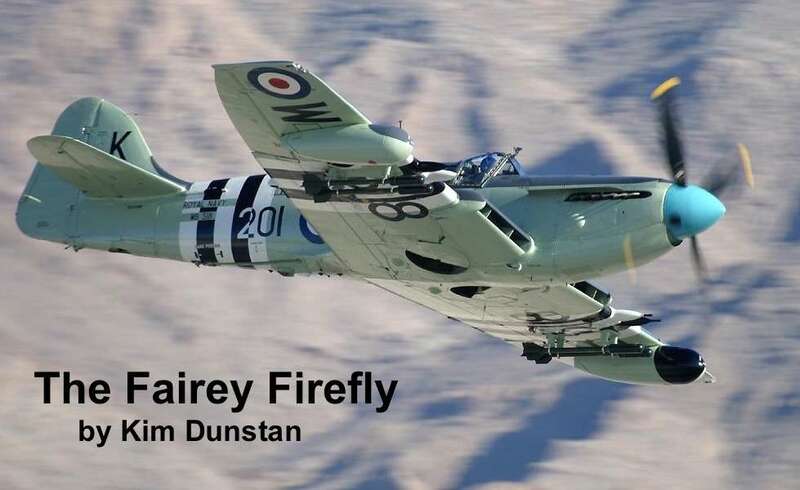 If you enjoyed reading about the Firefly, why not check out our Fairey Gannet page? 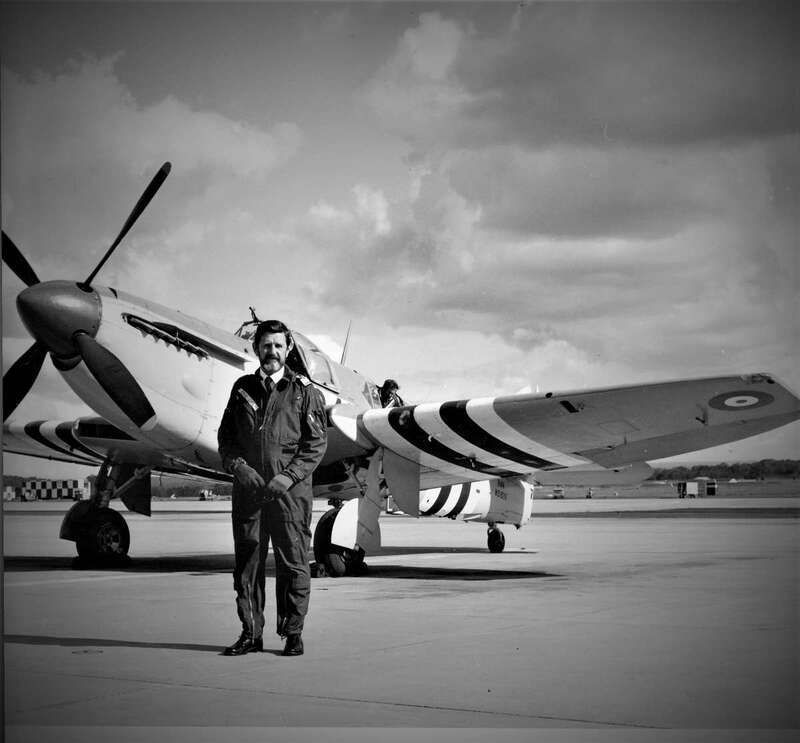 Click on the image below to read about this extraordinary aircraft, view the photo library and learn about our Gannets and the people who flew and worked on them. Thanks also to Norman Lee, John Harrison and Ron Marsh for assistance.